What does MUGI stand for? What does MUGI mean? 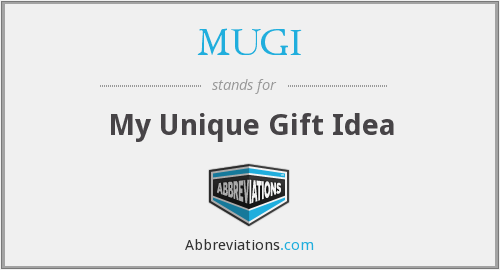 This page is about the various possible meanings of the acronym, abbreviation, shorthand or slang term: MUGI. In cryptography, MUGI is a pseudorandom number generator designed for use as a stream cipher. It has been recommended for Japanese government use by the CRYPTREC project. MUGI takes a 128-bit secret key and a 128-bit initial vector. After a key- and IV- setup process, MUGI outputs 64-bit output strings based on the internal state, while updating the internal state after each output block. MUGI has a 1216-bit internal state; there are three 64-bit registers and 16 64-bit registers. MUGI uses the non-linear S-box that was originally defined in Advanced Encryption Standard. A part of the linear transformation also reuses the MDS matrix of AES. The basic design is influenced by that of Panama. Couldn't find the full form or full meaning of MUGI? Know what is MUGI? Got another good explanation for MUGI? Don't keep it to yourself! "MUGI." Abbreviations.com. STANDS4 LLC, 2019. Web. 22 Apr. 2019. <https://www.abbreviations.com/MUGI>.